HomeBlogHome DecorHalo Desk by Karim Rashid for Dune. Halo Desk is the latest furniture designed by progressive designer Karim Rashid and is manufactured by NY based Dune. 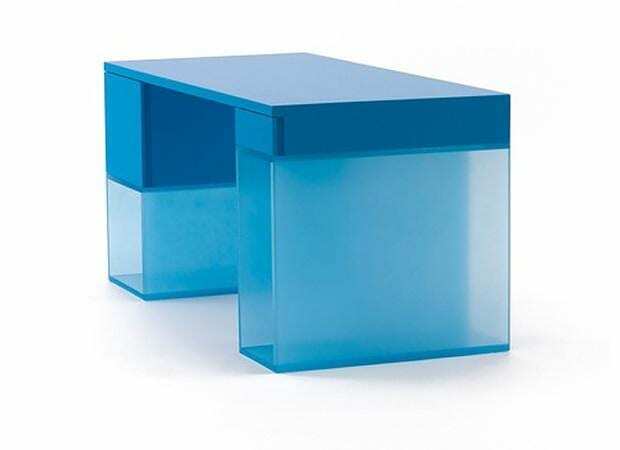 According to him Karim Rashid, Halo is an exploration of the application of new materials to furniture. In general Rashid has a passion with synthetic and technological materials, because they are easily molded into complex shapes and they are very flexible in color choices. These attributes constitute those materials ideal for the implementation of the organic style which characterizes his creations. For the Halo Desk, MDF was used for the desktop, covered using a special process in durable satin polyurethane coating. The base is more characteristic of the style and materials that Rashid prefers because of the semi-transparent acrylic. 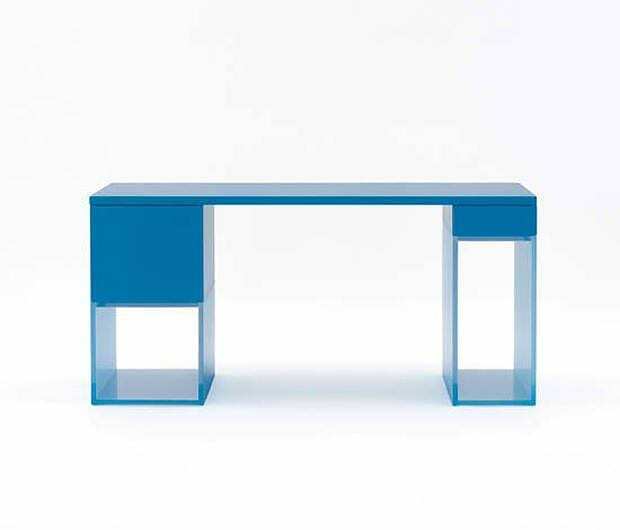 Halo Desk is a unique piece of furniture with a minimalist, yet striking shape. The desk provides sufficient storage capacity for its size, if two drawers for stationery and two open containers. The built-in open seems to be very flexible as you could easily install a desktop PC and a printer, neatly integrated to the desk. Alternatively they could even be used for files storage, or a convenient spot to place your professional suitcase. 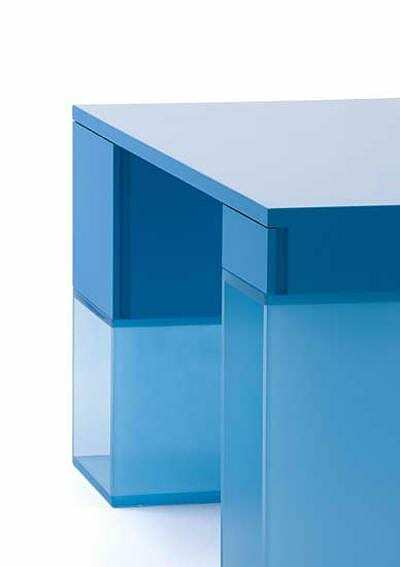 Without being blatant, Halo is different and modern, embedding successfully the transparent acrylic to an office desk. The Halo Desk is available in custom color and combinations and looks particularly impressive in bright slightly fluorescent colors.